The World Expo is the world’s largest international fair. It takes place every 5 years in a different country. Developing economic opportunity between countries, the Expo allows countries to showcase their strengths and achievements, based on a theme. 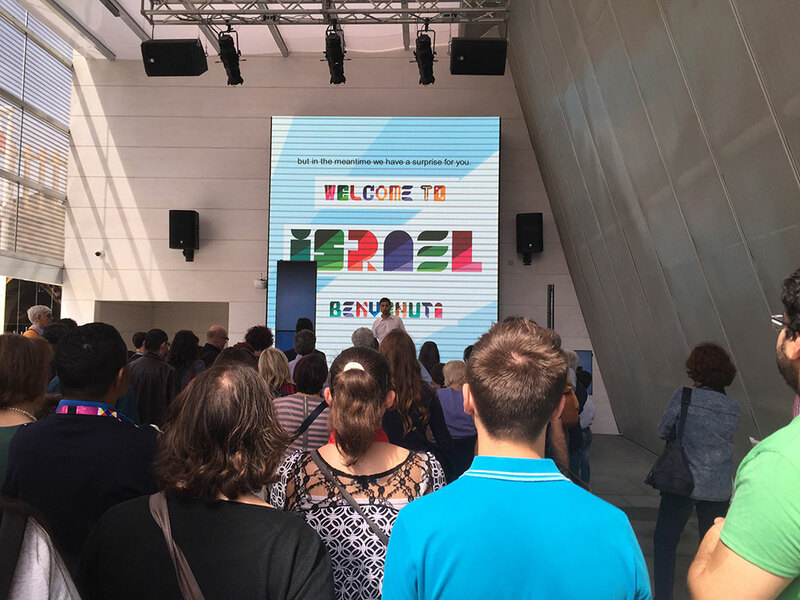 Israel selected Telemedia to bring their story to Milan. This project presented us with two challenges. In order to draw crowds, we needed to create a buzz around the exhibit itself. Equally important was presenting Israel’s successes in a way that would positively impact tourism and business, while maintaining a close connection with the theme of the event. We decided that the best way to tell the story of a country is through an emotional attachment. We devised a family story of several generations and wove the story of Israeli innovations in agriculture and in other areas through it. Although fictional, the family embodied the true story of the development of the State. We cast Moran Attias, a successful Israeli actress who is recognized in Italy, as the “sister” leading us through this adventure. We added a live “brother” to interact with her during the pre-show. The pre- show was held every 5 minutes as the audience was escorted into the pavilion. They were introduced to Moran on screen and the live actor “brother” who whisked them through some of the general information we wanted to express about the country, with breathtaking backdrops of landscape and cuisine. Once inside, the multimedia show brought us through three generations of Moran’s family, who showed us the innovations of cherry tomatoes, drip irrigation and more, straight through to the challenges of making the desert bloom. 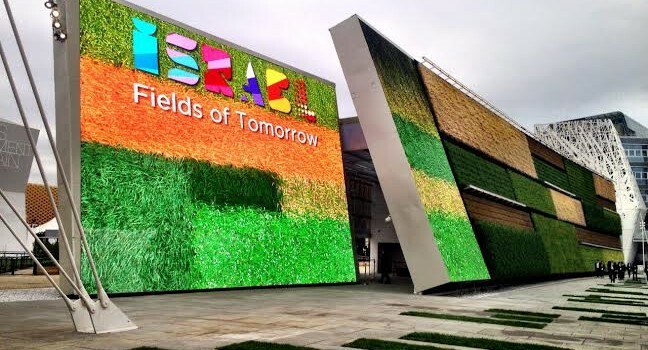 All in all, we created a 3 part show that used high end content and screen technology to bring Israel’s experience to the Milan Expo. 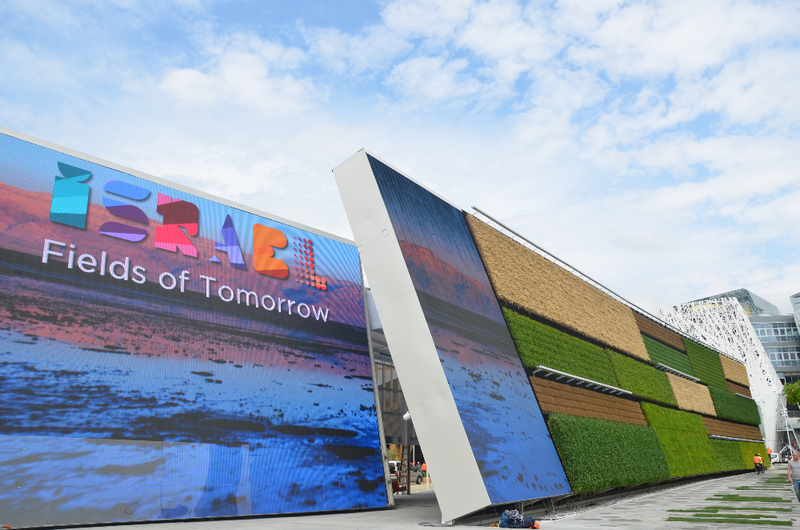 The Israel Pavilion was selected as one of the 5 best pavilions in the expo, and as the one most closely related to the theme. The lines for entry were constant and the exhibition was packed throughout the event.